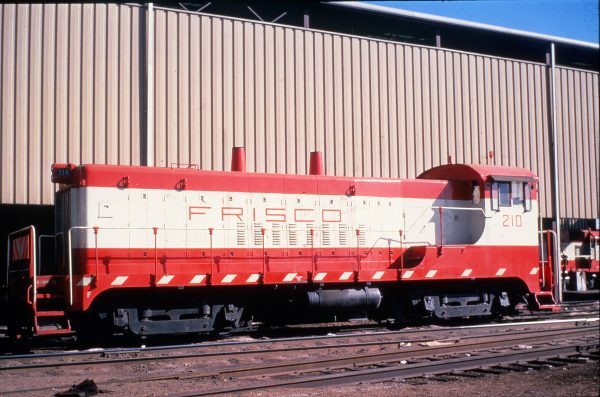 VO1000m 205 Kansas City, Mo in June 1976. 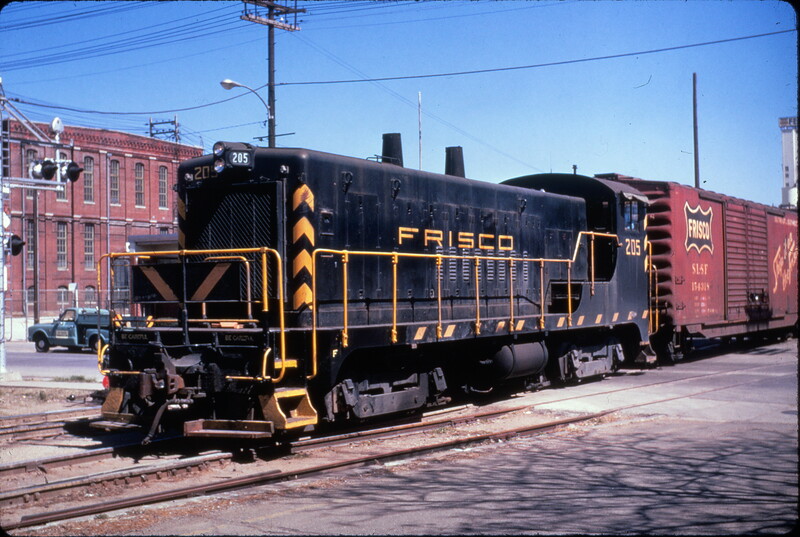 VO-1000m 210 at Springfield, Missouri (date unknown). 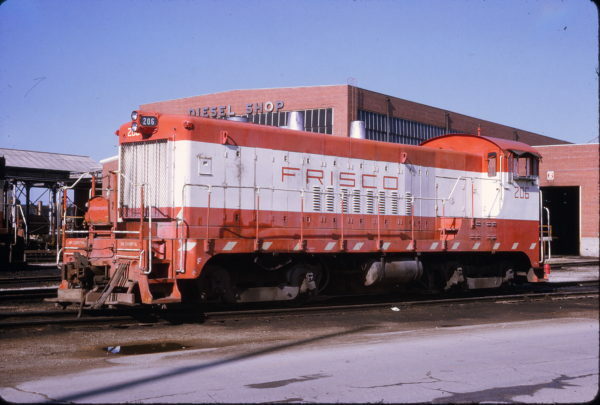 VO-1000m 205 at Kansas City, Missouri in March 1975. GP38AC 648 and VO-1000ms 202 and 204 at Springfield, Missouri in April 1975. VO-1000m 205 and Boxcar 154318 at Springfield, Missouri on April 27, 1971 (Al Chione). The locomotive is headed west on city industrial tracks (old passenger main) imbedded in Mill Street. It is crossing the grade crossing intersection with North Main Avenue headed toward South Yard. This is just northeast of the Springfield Passenger and Frisco Freight House. All are located in the Jordan Creek Valley just northwest of the downtown central business core. The passenger depot was abandoned after service ended in 1967 and would be demolished in 1976. The freight house lasted just a little longer, until 1980 when it too was raised. The building to the north on the left of the image is a former power station of the City Utilities of Springfield. It was located at 414-428 North Main Street. Today on this site the utility maintains a large electric substation. The utility built large power plants on the James River at Lake Springfield and southwest of town near Brookline, MP 247.2. The former is located at Kissick, MP 249.1, on the Ozark Branch. The latter is located on a purpose built three-plus mile spur loop off the Springfield Subdivision near the south end of the Brookline siding near MP 247.5. In the distance above the boxcar is the main grain elevator at the Missouri Farmers Association (MFA) grain milling complex. It stands along additional city industrial tracks imbedded in parallel Phelps Avenue. The elevator is located at the southeast corner of North Robberson Avenue and East Phelps Avenue. This anchors a large milling complex on the northeast and northwest corners of this intersection. This elevator is the newest (1950s), tallest and largest of the mill complex. It has a capacity of 750,000 bushels. 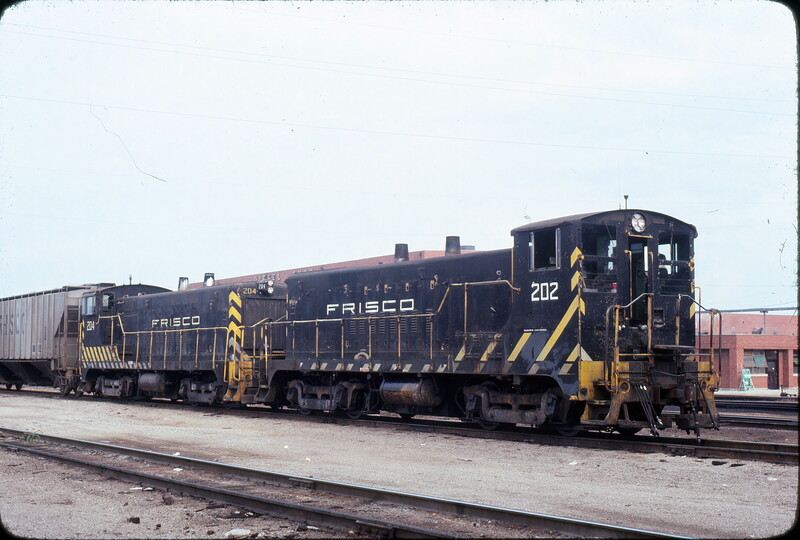 VO-1000m Units 202 and 204 at Springfield, Missouri in September 1978 (Neil Shankweiler). 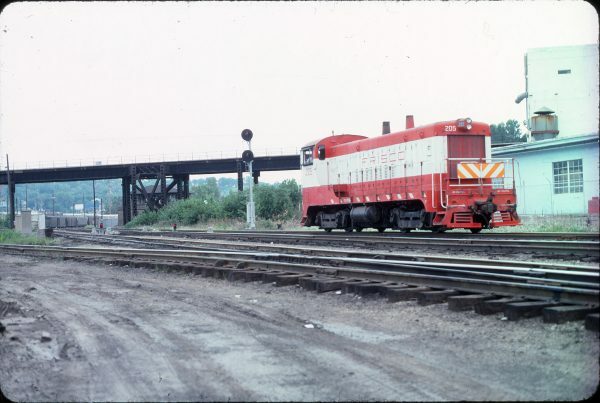 VO-1000m 206 at Springfield, Missouri on June 14, 1973. 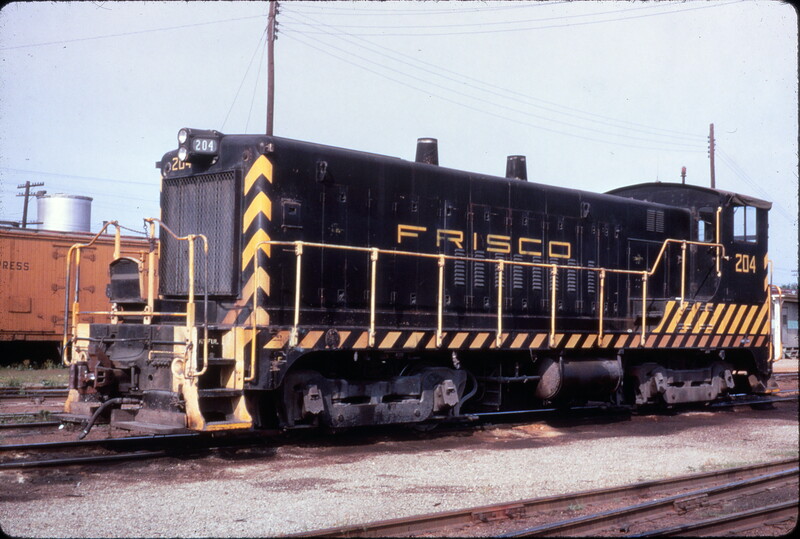 VO-1000m 206 at Springfield, Missouri in August 1977. VO-1000m 204 (location unknown) in January 1965. 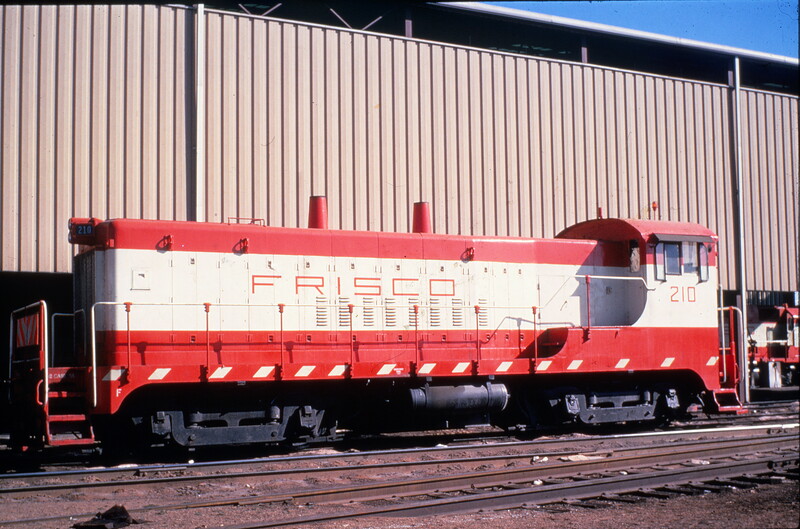 VO-1000m 205 Kansas City, Mo 19th St Yard in August 1978 (Allen Clum). Location is Kansas City, Missouri. 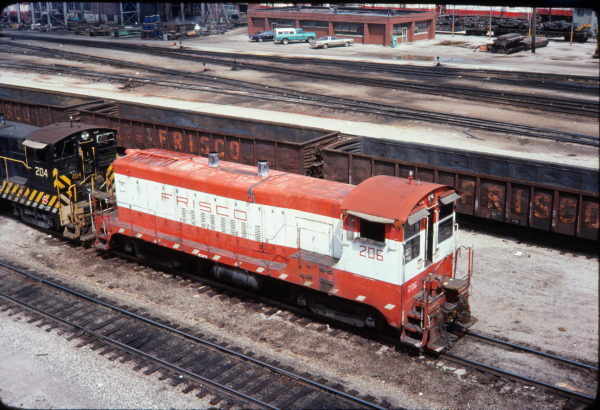 The locomotive is in the Frisco’s 19th Street Yard. It is on the south approach track to the single track diesel shop. 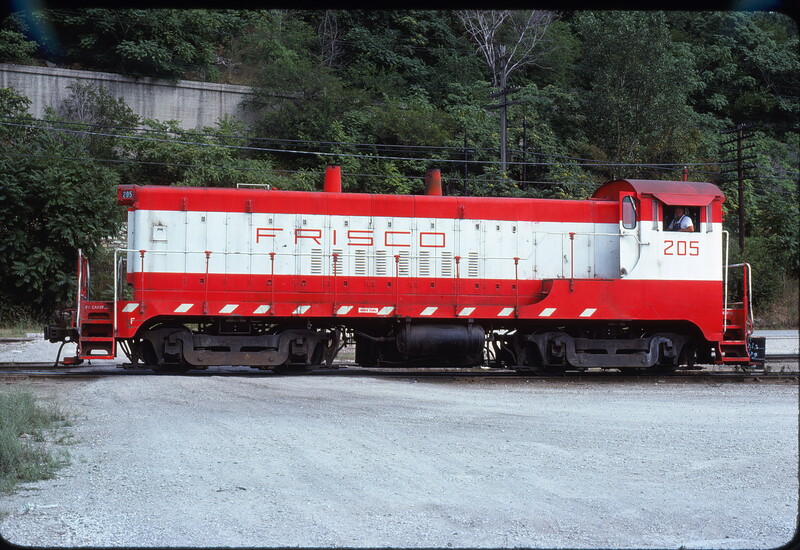 At the front coupler level is the Frisco’s track that runs behind (east) of the diesel shop. 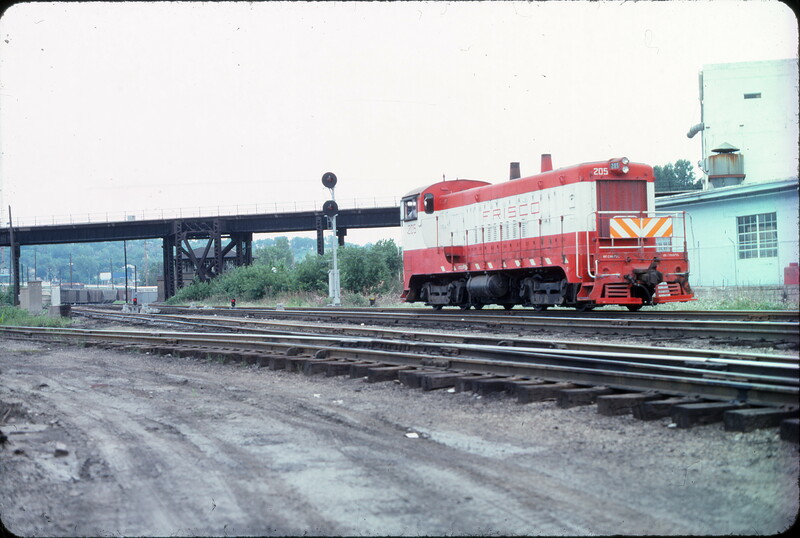 This was primarily a running track connecting the north end of 19th Street Yard with the diesel shop and coach yard near the south end of the yard. The locomotive’s front truck is on the grade crossing for vehicles to access the diesel shop from Allen Terrace. 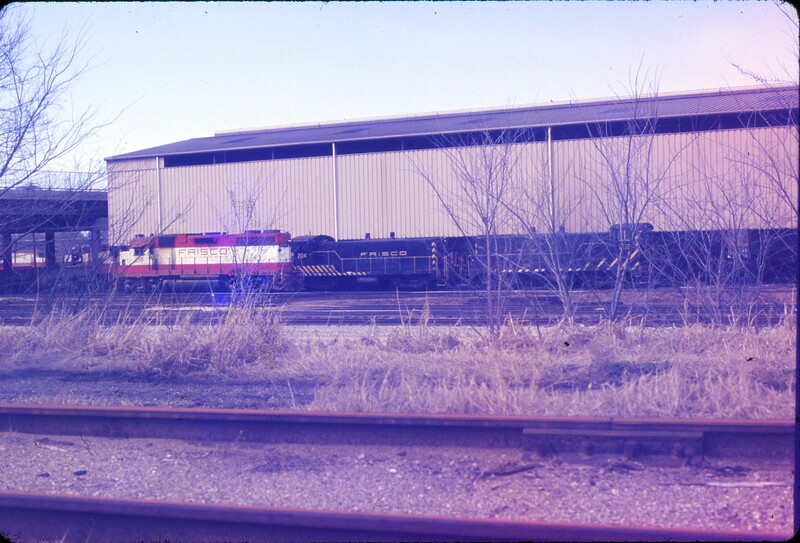 Out of view to the rear (south) of the locomotive is the diesel fuel tank car unloading track with four car spots. Located on a shelf near the base of the bluff in the distance, at a level just below the locomotive’s front headlight, is the Kansas City Terminal Railway (KCT). Their elevated Bluff Line runs north /south along the east side of the West Bottoms area. 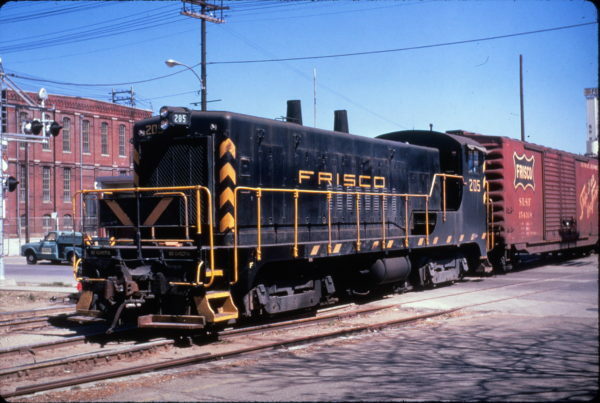 The Bluff Line extends from the intersection of Forrester Road and Beardsley Road southward to near the KCT’s former coach yard and roundhouse at West 25th Street and Southwest Boulevard. The concrete retaining wall above the locomotive helps support the bluff hillside and protects this line. 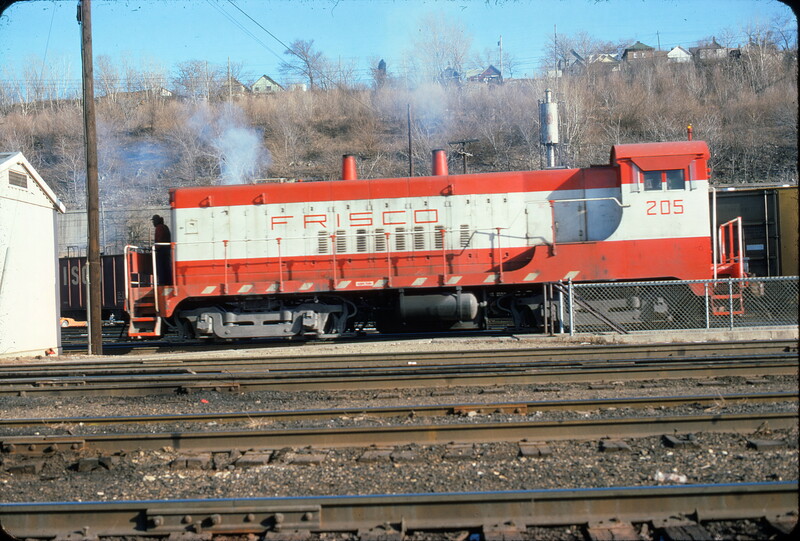 Note in this view that the locomotive has sustained some rear side damage near the cab that has been repaired. The reflective sill stripes now end below the battery box ahead of the crew cab. They once extended the full length of the side sill. Also, the former Automatic Car Identification (ACI) placard has been removed from the battery box side. 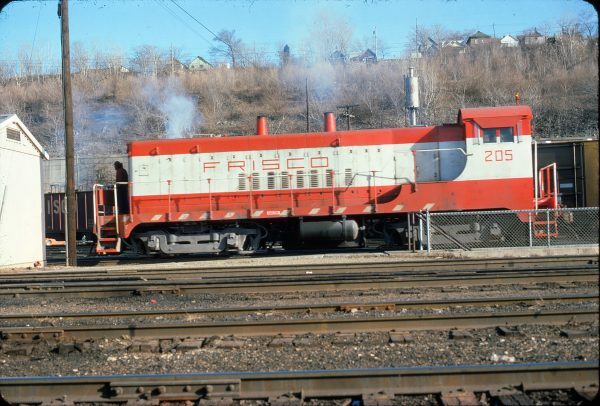 Please see an earlier view of this locomotive in The Archive at http://frisco.org/mainline/2017/06/16/vo-1000m-205-4/. The view is looking east.